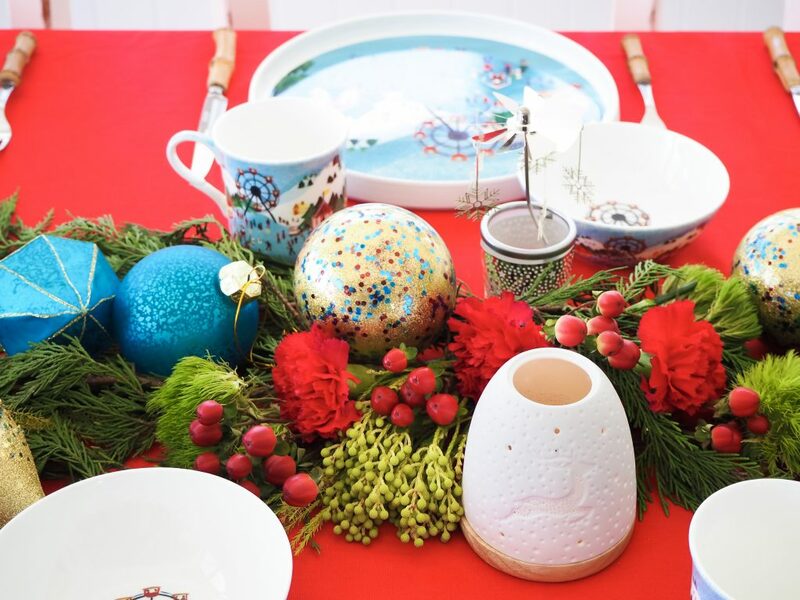 What’s on your Christmas Table? 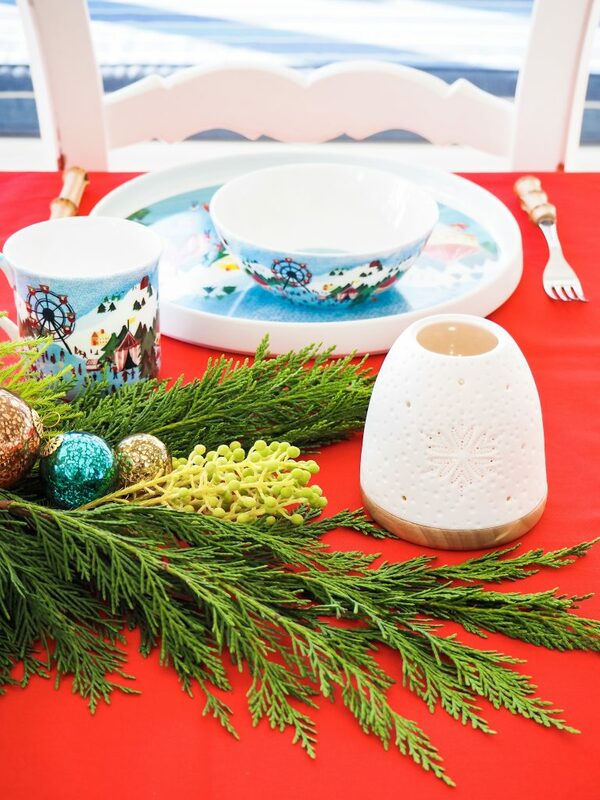 It should be easy … I mean … it’s the most magical time of the year, but we’ve never had a festive dinner set before, so I wanted to choose something that would stand the test of time. It had to be stylish and subtle for the adults, but also festive and colourful for the kids. It also had to be practical and functional. 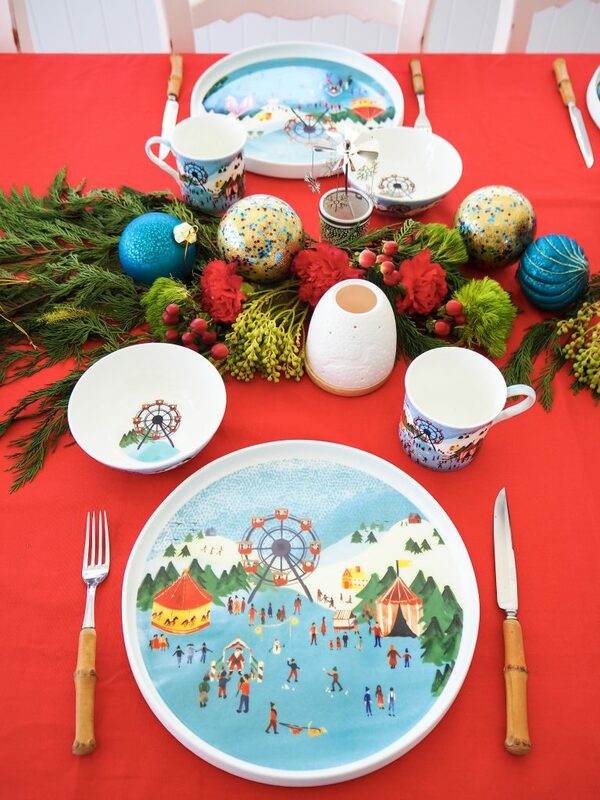 So, I’ve done the legwork, searched high and low and found the most magical Christmas tableware that is just perfect for my family, and maybe yours too. 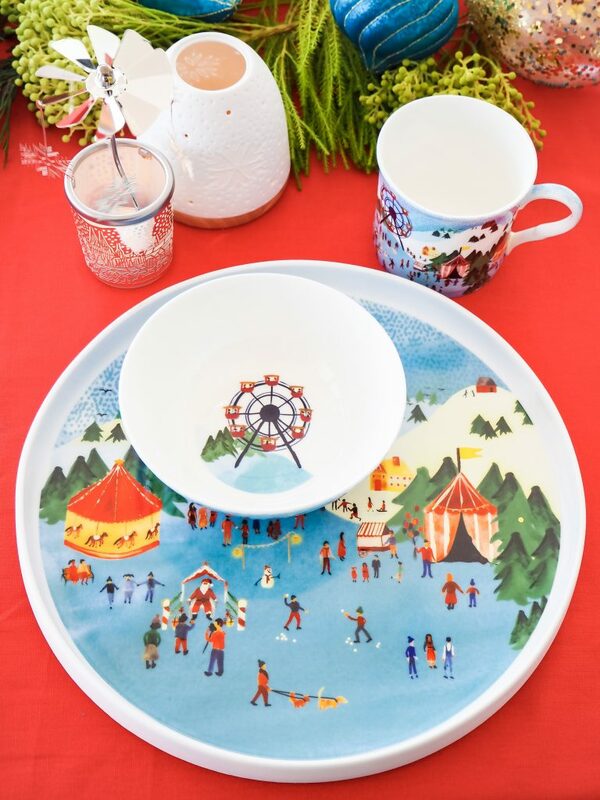 Introducing the Family Fun Park collection from Koh Living. If you know anything about my family, you will know we love a fun park, so this set was so ideal for us. It’s adorned with a gorgeous winter wonderland scene complete with a ferris wheel, merry-go-round and children playing. It conjures memories of our family frolicking on holidays and makes me smile. 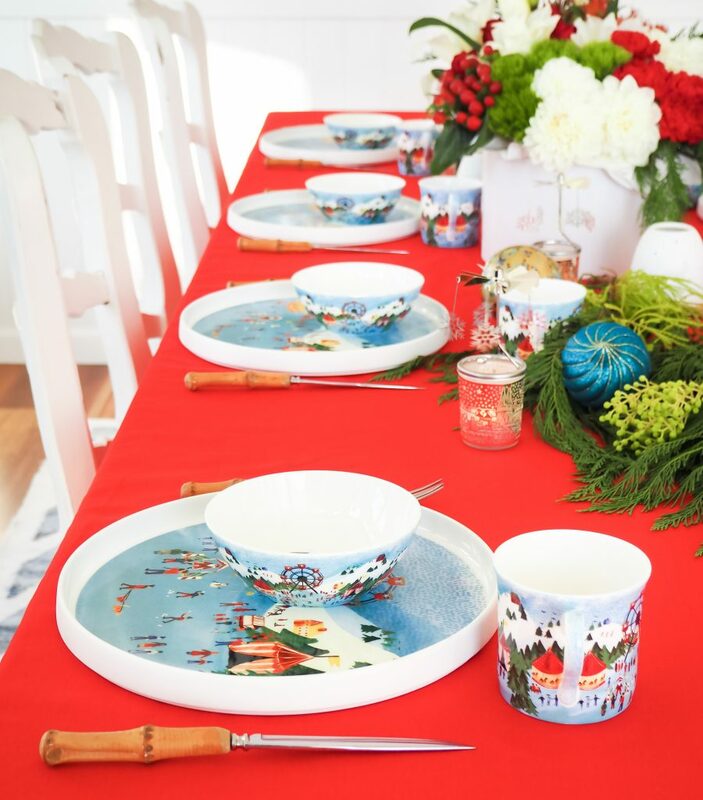 The inspiration for this design was ‘drawn from Christmas in Europe and the feelings of warmth and joy brought forth by traditional wintery scenes and quaint European villages’. I love the colour palette with shades of blue and petite pops of bright reds, orange, yellow and green. It will pair back nicely with most colour palettes. 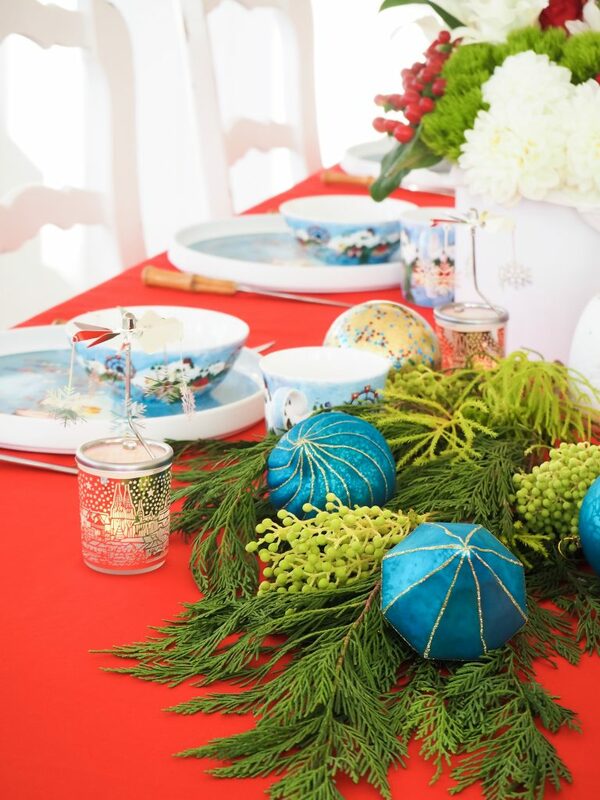 For this table I chose to bring out the traditional Christmas colours with a red tablecloth and lots of greenery. The range includes a porcelain Tray, which I have used as a plate, a porcelain Bowl and a fine bone china Mug. There is also a selection of matching Minikins, candle holders and candles, you can find them here. They look incredible laid out on my table and I am thrilled with my choice. My table wasn’t finished there though! Of course we needed some movement, sparkle and candlelight. I used the white porcelain minikin lanterns in the Christmas designs of Reindeer and Snowflake. The fine white porcelain of the Minikin lanterns allows the candlelight to shine through with a beautiful filtered glow, while the wooden base adds a touch of warmth. 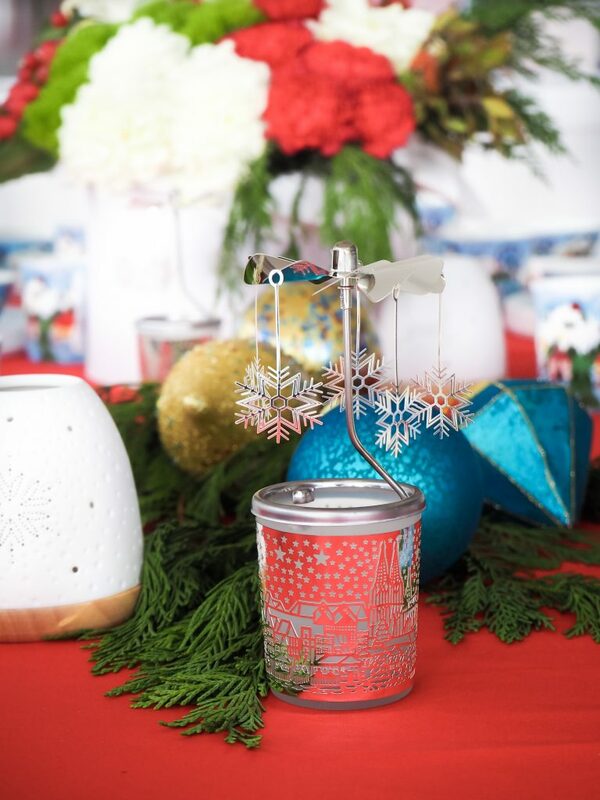 I added the sparkle and movement with the Rotary Cups in the Christmas Market and Reindeer designs. These little cups spin and sparkle in the glow of the candlelight, they are propelled by the heat from the tealight candle, the movement really adds an extra element to the table. I love them! Click here to see the Rotary Cup in action! 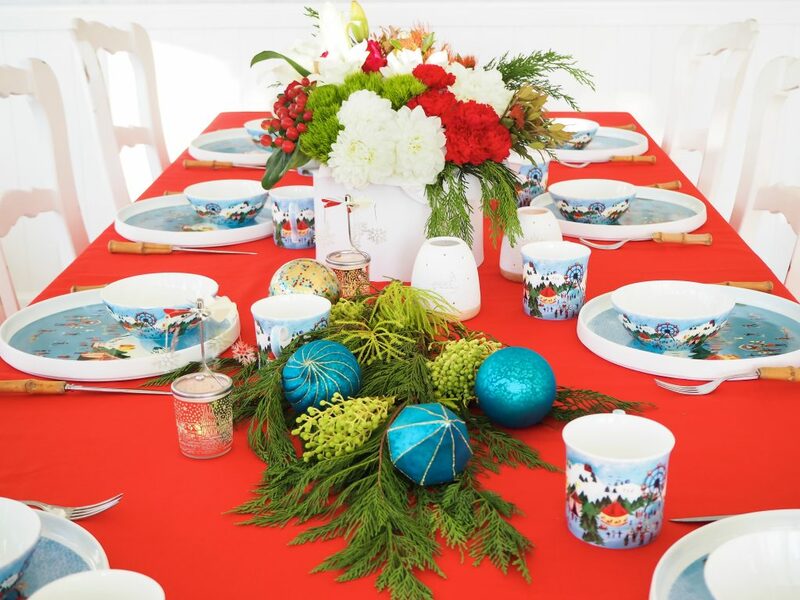 Lastly I added some Christmas decorations, fresh greenery and flowers and I think we’ve got a gorgeous Christmas table that is festive, fun and perfect for our family! Find the links to all the items I used to create my table here. To see the entire Koh Living Christmas range, use this link. I was gifted some of the pieces in this blog post. 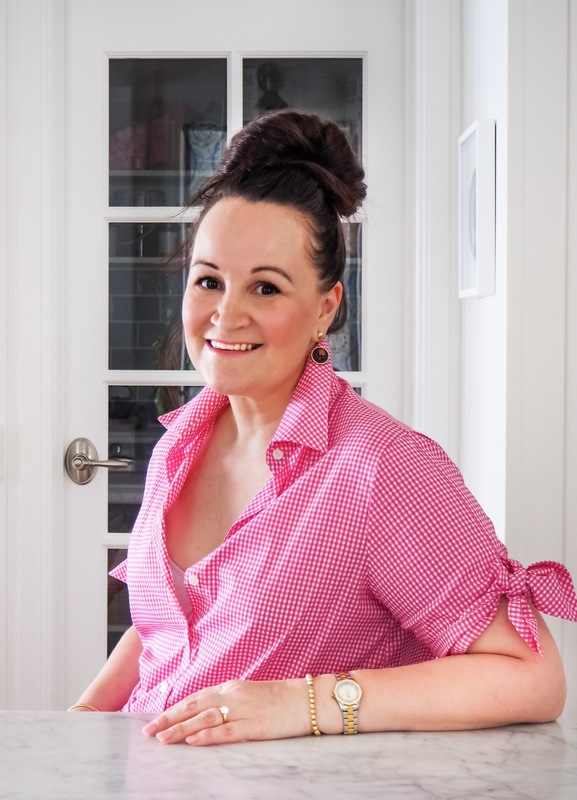 I selected the products myself from the Koh Living range. All opinions are my own. You can be sure I will never recommend something I don’t love!